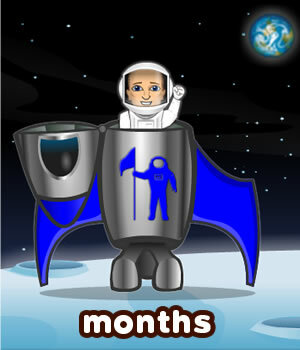 In this lesson, ESL/EFL students will learn how to talk about months, dates and festivals. The focus will be on months of the year and dates on which different festivals occur. English learners will also learn cardinal and ordinal numbers from 1-31. 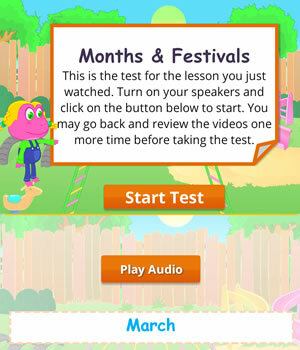 This ESL kids lesson teaches vocabulary for the twelve months of the year and festivals. The worksheets below are useful for offline and classroom activities. 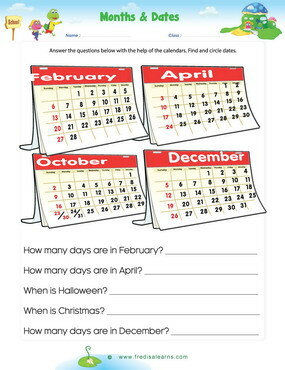 These printable exercises directly correlate with the above lesson 'Months Dates'. Every worksheet comes with an answer sheet on the second page for educators. Freddie, Lisa and friends are coming home from school. Lisa, who is not so good at dates, invites Sally to her upcoming birthday party. A conversation on months of the year reveals that Lisa only knows her birthday. 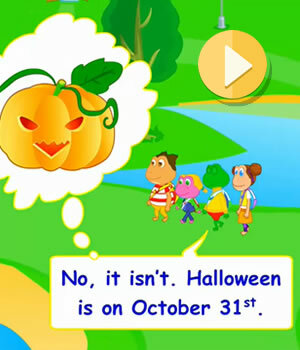 She gets to learn about the months of the year and the dates of different festivals like New Year's Day, Halloween and Christmas. Months of the year- January, February, March, April, May, June, July, August, September, October, November, December. Festivals - Christmas, Halloween, New Year's Day, birthday. 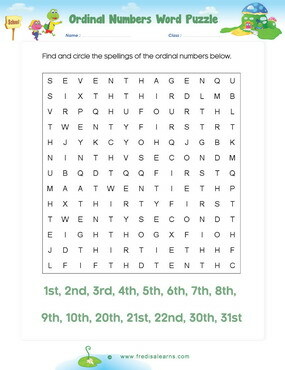 Ordinal Numbers - First, second, third, fourth, fifth, twentieth, twenty-first. 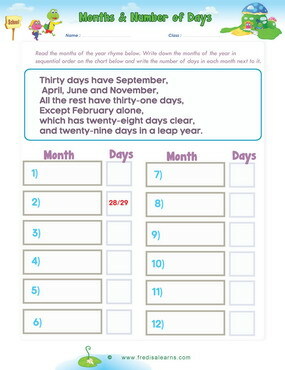 This lesson also focuses on using capital letters at the beginning of the months of the year and names of festivals. We add the suffix '-st, -nd, -rd, -th' to cardinal numbers to write ordinal numbers - example 1st, 2nd, 3rd, 4th. An ordinal number is used to show position or rank in a sequential order. When talking about dates, we often use ordinal numbers to indicate the position of a number relative to the others. For example there 31 days in December and Christmas in on the 25th day of December.